The record, as far as we can tell, shows no instance of the now globally famous J.K. Rowling, author of the Harry Potter books, ever having called one of her translators to offer that person the job of bringing the magical world of wizards and muggles to his or her native culture. But that hasn't prevented some excited reactions from those translators who have gotten the nod, either through their local publishers, or through their own pluck in lobbying for one of the most prestigious--and challenging--jobs in translating today. And how could it be otherwise: worldwide sales of the Harry Potter books are estimated at over 250 million copies, with over 80 million sold in the U.S. alone. In 1998, worldwide marketing rights to the franchise were sold to Warner Brothers, enabling the schoolboy's story to enter the realm of true global phenomenon. What started with the British publisher Bloomsbury is now a transnational, corporate marketing enterprise that incorporates the inevitable films, T-shirts, games, and myriad spinoffs. And the key players in all this are the literary translators who re-create the texts in other languagesover 60 at last count, including Ancient Greek--for page and screen. Not so in the case of the current Russian translator, Viktor Golyshev. After translations of the first four volumes into Russian had been widely criticized for inaccuracies, a lack of fantasy, and inserted moralizing, the publisher brought in Golyshev--the brilliant translator of William Faulkner, Thorton Wilder, and George Orwellfor the fifth book. As the doyen of a team of three Russian translators working on Harry Potter and the Order of the Phoenix, Golyshev expressed no appreciation at all for the work, proclaiming not the slightest interest whatsoever in childrens literature. And yet, with the success of his teams translation, he is now probably better known for his association with Harry Potter than he is for the whole of his professional oeuvre, which spans several decades. The stories follow a familiar theme in English childrens books, that of adventures at boarding school, and many of the cultural nuances will be unfamiliar to readers in translation. Translators have several options, including de-Anglicizing the text, leaving names and concepts as they are (but including explanations of particularly difficult notions, such as Christmas crackers, Halloween, and Cornflakesthe latter having earned a footnote in the Chinese translation, to indicate that these are consumed immersed in milk for breakfast), or some combination of the two. I wanted to keep it very British and make the readers understand they are in Britain, says Jean-François Ménard, the French translator (who is also the translator of Roald Dahl). One way to do this was to translate invented words and names in a sort of anglicized French: Snape became Rogue, Slitherin became Serpentard, and the British word Bagman became Verpay, from the acronym VRP, describing someone engaged in door-to-door sales. With made-up words, magic spells, regional accents, unknown creatures, and descriptive names, the language of Harry Potters world is fraught with challenges for translators. The mere manner of speaking, for example, of the various characters reveals much about them. Expressions and forms of speech are often regional, requiring corresponding equivalences, where possible, in other languages. The accent of Hagrid, a misguided and heavy-footed giant, is a case in point; it originates somewhere in northern Englandso Ménard simply gave him a friendly and straightforward way of speaking in French. Invented words, including the spells and incantations of Harrys magical world, pose special problems. The names of people, places, and thingsKnockturn Alley muggles, and Ravenclaw, for exampleinvariably evoke powerful imagery and thus create immensely difficult problems for translators. Not all names are translated, but those that are require extreme creativity and sensitivity in an attempt to duplicateor at a minimum, approximatethe associations of the native English. According to Nieves Martin, the Spanish translator, it can take a month to translate one of Rowlings invented words with the degree of humor and subtlety of association contained in the original. We eventually translated skrewts (magical creatures) as escregutos, which sounds a bit frightening and suggests excrement and sputum, he says. Lia Wyler, the Brazilian Portuguese translator, ended up coining over 400 words to re-create Harrys expansive and magical universe. 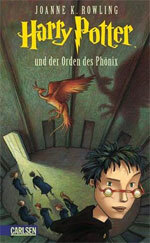 German translator Klaus Fritz often found it impossible to translate Rowlings puns; the magical street name Diagon Alley became Winklegasse, or Corner Alley, losing the play on words. So Fritz took a broader view of the books to reproduce the same flow of jokes, sometimes inventing new gags to make up for the ones lost in translation. Although Harry Potter may be read on several levels, it is ultimately a world created for children, and for the most part the translators never lost sight of that. I relied on my granddaughter, a wonderful child just Harrys age, says Lia Wyler. I used to recount every chapter to her and on recounting them I found where to add and cut to give it just the right rhythm in Portuguese. So too did Emily Huws, who for the Welsh translation had help from a 15-year-od Potterphile consultant, who gave her advice along the way. Because in the end, as the translators realized, it is the language of magic that is what children truly understand. Along with her American editor, J.K. Rowling decided that beyond Americanizing the spelling (flavour/flavor, recognise/recognize, etc. ), words should be altered only where it was felt they would be incomprehensible, even in context, to an American reader. I have had some criticism from other British writers about allowing any changes at all, but I feel the natural extension of that argument is to go and tell French and Danish children that we will not be translating Harry Potter, so theyd better go and learn English, Rowling says. Thus dustbin becomes trashcan and a packet of crisps is turned into a bag of chips. Dumbledore is barking in Britain but off his rocker across the Atlantic. 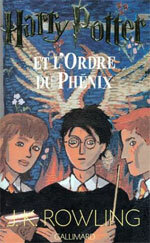 Most importantly, at the suggestion of the American editor, the title of the first book was altered from Harry Potter and the Philosophers Stone to Harry Potter and the Sorcerers Stone, both to avoid what might be thought of as a reference to misleading subject matter, and to reflect Harrys magical powers. The choice of Sorcerers Stone was Rowlings idea. ©2004 Steven Goldstein/Translorial  Reproduced with permission from the author and Translorial, the journal of the Northern California Translators Association. 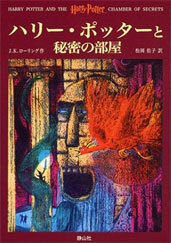 Free electronic copies of Translorial can be read/downloaded from the NCTA website: www.ncta.org, from the Translorial archive page. Steven Goldstein is an advertising writer and the editor of Translorial, the journal of the Northern California Translators Association.